Welcome to our new team member: Emanuele Natale. Emanuele Natale got his B.Sc. in Mathematics in 2011 and M.Sc. in Computer Science in 2013, from University of Rome “Tor Vergata”, and his Ph.D. in Computer Science in 2017 from Sapienza University of Rome under the supervision of Andrea Clementi and Riccardo Silvestri. During his Ph.D. he was a visiting student at IRIF (LIAFA) in Paris, hosted by Pierre Fraigniaud, and at the Simons Institute for the Theory of Computing of U.C. Berkeley, hosted by Luca Trevisan. During his graduate studies he has been awarded the Best PhD Paper in CS at Sapienza 2015 (ex-equo), the Best Student Paper at the European Symposium of Algorithms (2016), the Outstanding PhD Student of Year 2015-2016 Award of the CS PhD School of Sapienza (ex-equo), and the Best PhD Thesis Award by the Italian Chapter of EATCS (2017). After his Ph.D. he joined Kurt Mehlhorn’s Algorithms and Complexity Department at the Max Planck Institute for Informatics in Saarbrücken, and was again at the Simons Institute for the Theory of Computing in 2018 as a holder of Simons Fellowship. 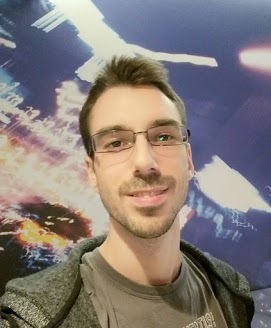 In January 2019, he started his position as a permanent CNRS researcher joining the I3S laboratory, as a member of the COATI team jointly with INRIA.